How to Replace Drill Bit? 1. Turn central barrel clockwise (from "S" to "R") until hearing a "click" sound to release drill bit. 3. Turn central barrel counterclockwise (from"S" to "R") until hearing a "clicks" sound to lock drill bit in place. 4. Then your nail drill is ready to use. Never remove central barrel during operation. ●Attach the drill bit firmly into the drill head and lock it in place. ●Connect the nail drill with the power supply in the "DC INPUT" hole. 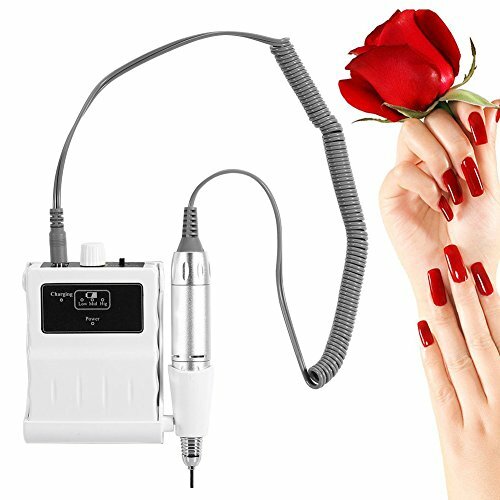 ●Connect the handpiece with the power control device in the "MOTOR" hole and press ON/OFF to turn on the machine. View More In Acrylic Nail Tools.